Bitter~Sweet ™: To Tell or Not To Tell . . . . Does your employer/school/friends know you have diabetes? Why or why not? These days I certainly fall on the side of diabetes-oversharing, if there is such a thing (I kind of pretend there isn’t). It not unusual for me to discuss diabetes with complete strangers. But this wasn’t always the case. I was diagnosed when I was 11 years old and, like most teenage girls, I desperately wanted to be just like everyone else. And so, I did all I could to hide the fact that I am diabetic. I ate what everyone else ate - even though back then I was supposed to be on a strict eating plan. I hid in the bathroom to test my blood and take my injections, or I just waited until I was back home in the seclusion of my bedroom to do them. When I left for college, I decided I’d turn over a new leaf and I’d tell everyone that I had diabetes. That went well for about the first few months or so. But then, I once again wanted to be a “normal” college kid. I wanted to drink beer at a party (even though I hate beer) - and at that time I believed people with diabetes couldn’t drink. So while I didn’t exactly hide my diabetes, I also didn’t talk about it much because I felt I was doing a lot of things I wasn’t supposed to be doing and I hated when people asked me about it. Graduating college and going out into the adult world didn’t mean I became adult about having diabetes. Nobody at work knew, and I went back to testing and injecting in the bathroom. Until one day, when I got really sick and ended up in the hospital. I decided it was time to start getting serous about taking care of myself, and that it was time to stop hiding diabetes. I told my closest friends, who were supportive and understanding (and also pretty shocked to find out I had hidden it from them for years). As for my co-workers, I told a diabetes half-truth. I let them believe that I was newly diagnosed during my hospital stay. I know it sounds crazy to replace one lie with another, but in my mind it was a good way to be open about diabetes without the shame of admitting I had hidden it for years. I didn’t truly feel comfortable letting people know about diabetes until I found the DOC and became friends with other diabetics. Finally I understood that having diabetes didn’t make me broken or less of a person. I learned how to take care of myself and still enjoy things like pizza and chocolate and martinis. I felt empowered as a patient and I felt the need to blog and share and advocate for all people with diabetes. And now, I just dare anyone to try to get me to shut up about having diabetes!! This post is my March entry in the DSMA Blog Carnival. 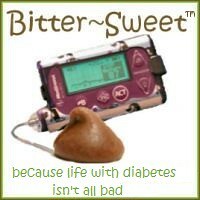 If you’d like to participate too, you can get all of the information at http://diabetessocmed.com/2012/march-dsma-blog-carnival-2. "Finally I understood that having diabetes didn’t make me broken or less of a person. " This brought tears to my eyes. How awful that so many people have to feel that way. I'm so glad you "figured it out". The DOC, and the diabetes community at large, is certainly the better for you having opened up. Thank you. I'm the same way as you are Karen! Since my (now almost 7 year old) son was diagnosed at the age of 3 1/2, you can't get me to shut up about diabetes! When he was first diagnosed, my "audience" was primarily family, close friends, and school staff members. If someone would ask me questions, though, you bet I gave them the best answers I could... and if I didnt know the answers... I'd find them out! After "meeting" the DOC, though, is when I really started to spread my wings and fly on this topic. 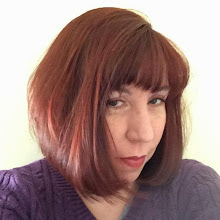 Now, I blog about it, including little tidbits of education, awareness, advocating, and try to sneak in some humor (diabetes related or not!) on it! I've even considered looking into what it takes to become a "parent advocate" for other families with diabetes, more specifically the newly diagnosed, to help them learn the laws and rights of their children in the school systems, help them find a comfortable "happy medium" with their schools, etc. I feel this is so important because, especially newly diagnosed families, they may not know all the laws protecting their kids... or where to even read up on them! This is a great post, Karen. Since I was diagnosed, I have really struggled with if and how I should tell people. I definitely hope to get to the point where I'm more comfortable talking about it...and I think I can learn a lot from you! I certainly understand the "oversharing" part! I think discussing it openly online has given me the confidence to discuss it in real-life, too, and I do it a lot. I just have to be careful not to tell people more than they want to know, and not to seem like I'm "spamming" my friends by always asking them to support a cause. I say tell everyone! Education promotes understanding, acceptance, and hope. I tell people I meet on the street all the time! A lot of them end up donating to the JDRF for me...lol. I am definitely an over-sharer, but the more people I tell, the fewer diabetics have to listen to ignorant comments. Plus, I have had people look very disgusted when I check my sugar in public. And I am of the opinion that this is something I have to live with. Since I use hand sanitizer/alcohol wipes, they have no business being offended. I want to educate people about what living like this is like so they don't look at other people like that. I am so lucky to live in a country where I have some of the most advanced technology to treat this in the world. However, diabetes is a huge burden and I think it is good for people to know that. great article as always gal~! I am like you Karen, it took me over 20 years to finally come out in the open about it. Now you can't shut me up!